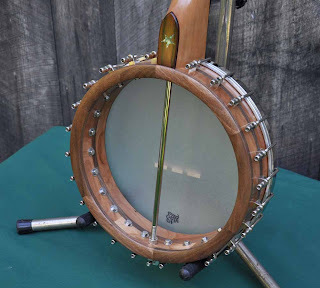 Dorset Custom Furniture - A Woodworkers Photo Journal: The Banjo Is Done !! 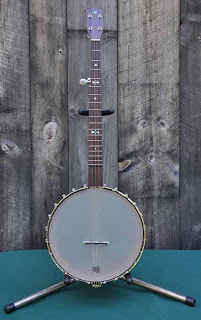 Great looking banjo! I'd like to hear a recording. 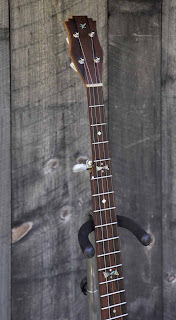 That's a nice looking instrument. 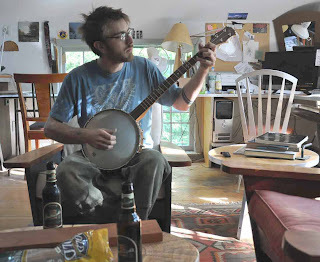 Between you and the folks over Acorn House, the WW blogosphere could start a folk band! Amazing work you boys are doing. 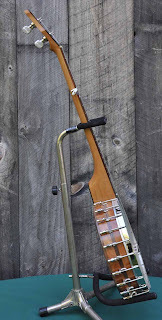 Beautiful instrument. Can't wait to hear it!